While the allure of travelling to a country with so many Dutch speakers nearly pulled Geert to travel to South Africa–he in fact purchased shipping tickets from Rotterdam to Cape Town–he ultimately decided to venture to the United States after having what he proclaimed to be an epiphany. Geert ultimately crossed the Atlantic in 1932, travelling aboard an ocean liner from Rotterdam, Netherlands to New York, NY for 4 days. While he told his family of the incredible boredom of being on a ship for so long, he remarked that he found the journey to be far more pleasant than he was expecting, as his passage was blessed with good smooth seas and warm weather. Aside from the weather, other assimilation challenges presented themselves to Geert. One such challenge that existed was the food which Americans ate. Back in Friesland, all meals consisted of a meat, a dairy product (usually cheese), and some sort of overcooked nightshade. 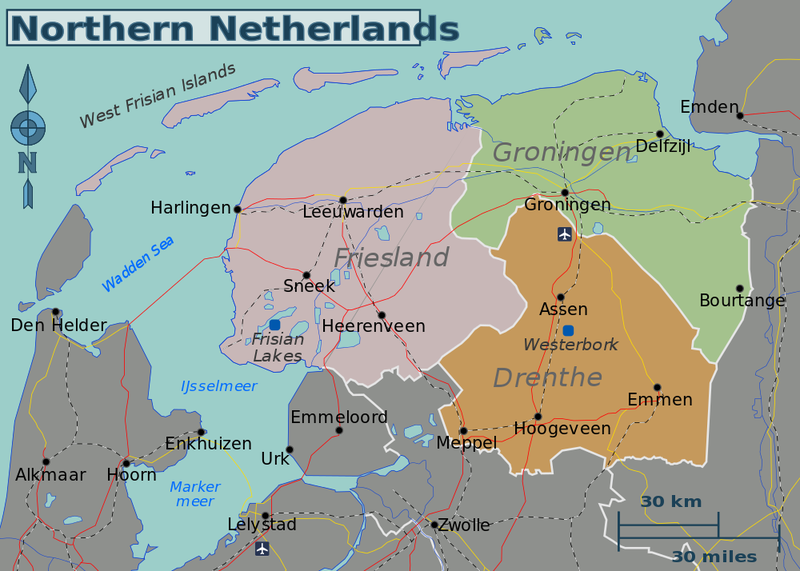 In the United States however, most meals lacked the starchy bases frequently found in Frisian meal. While Geert may not have found a perfect home in America, as he was still faced with challenges in his new country, he did successfully fulfill his American Dream. “I would say that he would consider his dream fulfilled” said his daughter Alice. In the end however, the dream of Geert Dijkstra rests in the hands of the family he created in his new land. The story of Geert Van der Laan was recorded by his great grandson, Alex Ross.